Netvillage is the only turn-key combination of gamification services that are fully integrated into a social networking platform. This takes advantage of two powerful human motivators: the psychological predisposition to engage in gaming, and the desire to socialize with other people. The integration of them will give you the competitive edge. Gamification is the use of game design techniques and mechanics to solve problems and engage audiences. 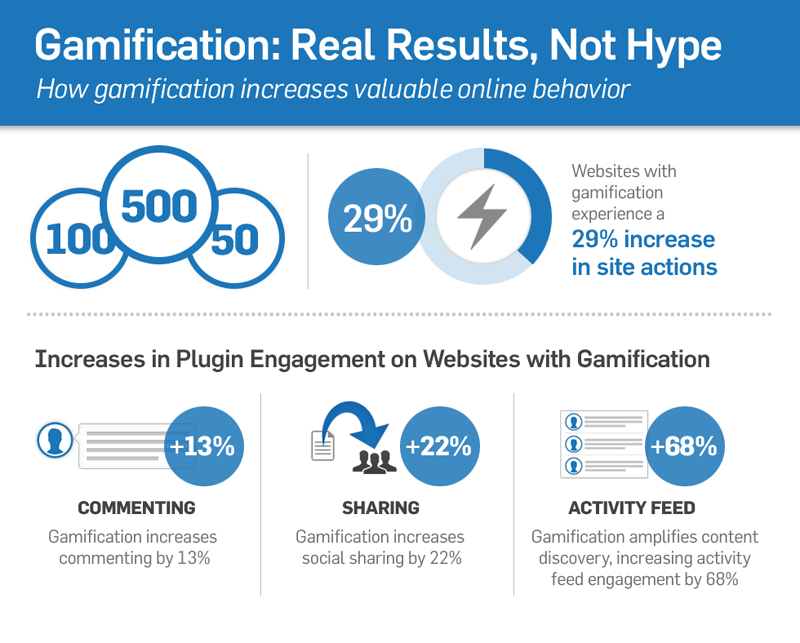 Typically gamification applies to non-game applications, particularly consumer-oriented web and mobile sites, in order to encourage people to adopt the applications. It also strives to encourage users to engage in desired behaviors in connection with the applications. Gamification works by making technology more engaging, and by encouraging desired behaviors, taking advantage of humans' psychological predisposition to engage in gaming. The technique can encourage people to perform chores that they ordinarily consider boring, such as completing surveys, shopping, or reading web sites. The rise of gamification and the increasing power of game thinking create substantial opportunity for social networks. Major brands like Nike as well as startups like Foursquare and Groupon have used game mechanics such as points, badges, levels, challenges, leaderboards and rewards to create and engage community while igniting viral growth. You can assign various "classes" that are reached when a member earns a certain amount of credits - known as "leveling-up". 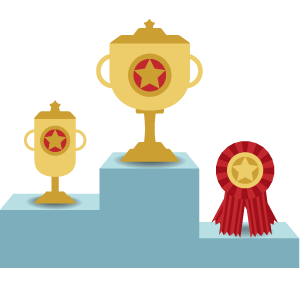 Use awards like our Credits for many tasks, such as posting a forum message, up-loading a file, taking a survey, and much much more. Take advantage of the Locks and Keys feature of classes and offer new services, access, and features when players reach certain levels as a reward. The core of our system is behaviors and achievements. A behavior is simply some task that is tracked by the system: voting on something, posting to a forum, uploading a file, etc. While you can award credits for these actions (set via the offline configuration service), you can also offer additional motivation via achievements. An achievement is when a certain behavior is performed X number of times by a user. For example, when they've posted 10 messages in the forums. Achievements have the added advantage of displaying a nice congratulatory message including a badge or other visual reward. In addition, you can award credits, points, and even class upgrades! Best of all, the award is displayed prominently in the user's trophy case for all to see. Once the novelty of site wears off, how do the users decide to choose one over the other? How do you ensure loyalty and engagement? Gamification. By deploying some of the basic tenets of game development discipline, with a clear emphasis on making things more fun and rewarding, and using game mechanics like points, badges, levels, challenges and rewards, you can raise various engagement metrics. Rather than the antiquated idea of pushing consumers to "buy, buy, buy", more than trying to foster engagement, engaging users first to generate revenue is the marketing model of the future. Simply put, engagement does not follow revenue. But behind engagement, revenue follows. At the root of Gamification is the player. In any system, how the players are motivated ultimately drives outcomes. Therefore, understanding player motivation is paramount to the building of a successful gamified system. We already know that games are generally good motivators. By focusing on three central components - pleasure, rewards and time - games have become one of the most powerful forces in all of humanity. Uniquely, games are able to get people to take actions that are not always in their best interest, without the use of force, in a predictable way. By 2015, more than 50 percent of organizations that manage innovation processes will gamify those processes, according to Gartner, Inc. By 2014, a gamified service for consumer goods marketing and customer retention will become as important as Facebook, eBay or Amazon, and more than 70 percent of Global 2000 organizations will have at least one gamified application. A new report says gamers are more likely to be online shoppers and opinion leaders and concludes online shoppers can be motivated by game mechanics. Market research firm Interpret released the report called "gCommerce: the "Gamification" of eCommerce" that says gamers are 20% more likely to be an online shopper than the average non-gamer and 50% more likely to be influencers among their friends. Should you run your business like a game? VentureBeat has written increasingly about the phenomenon of gamification - the application of game-design principles to products and services far afield from the conventional gaming sector. It's being applied to everything from building websites to serious efforts like improving healthcare. Why not put gamification to work at the office? Putting game mechanics into traditionally non-game user applications, such as software and online services, is gaining speed as a business strategy that not only increases user participation, but also results and revenue, say advocates and industry players. This site is dedicated to the thought that something as simple as fun is the easiest way to change people's behaviour for the better. Be it for yourself, for the environment, or for something entirely different, the only thing that matters is that it's change for the better.